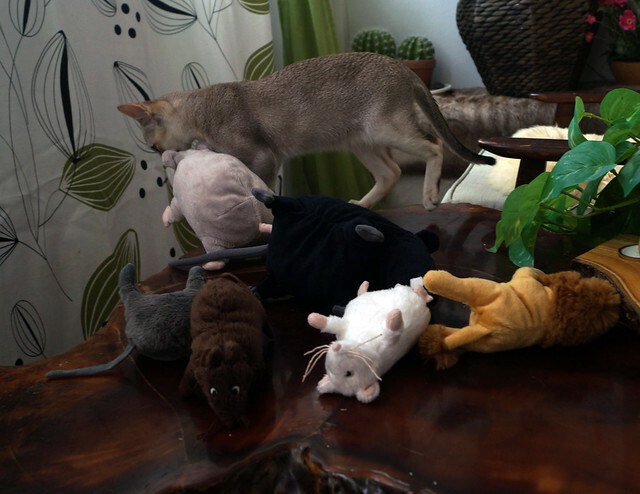 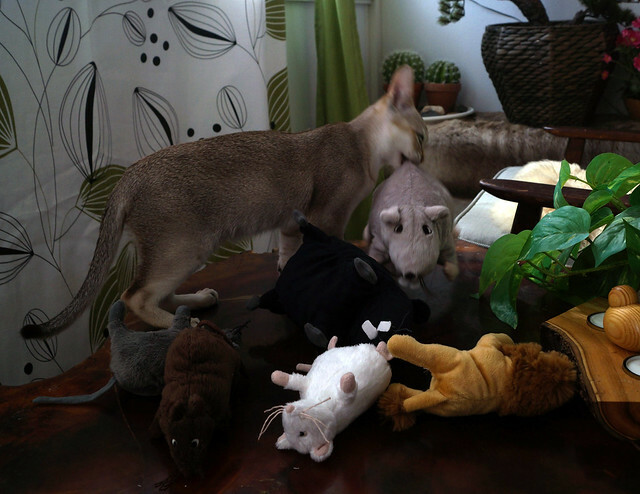 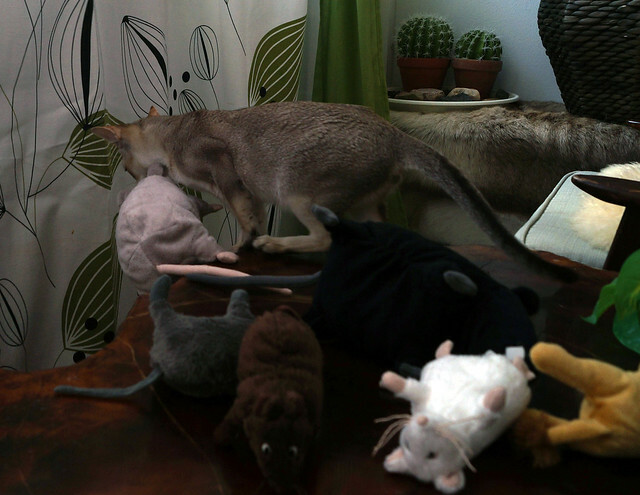 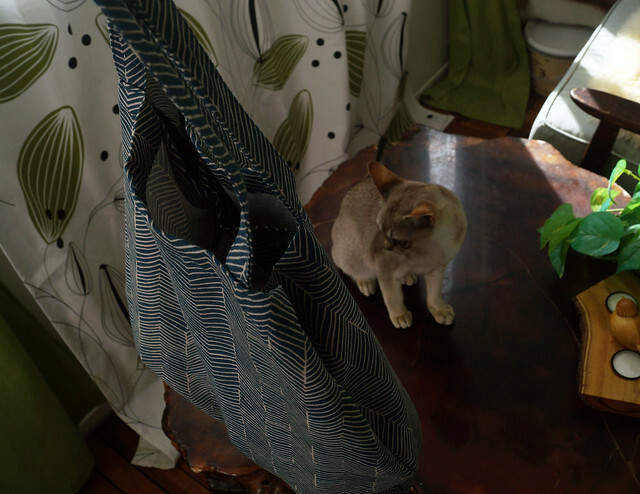 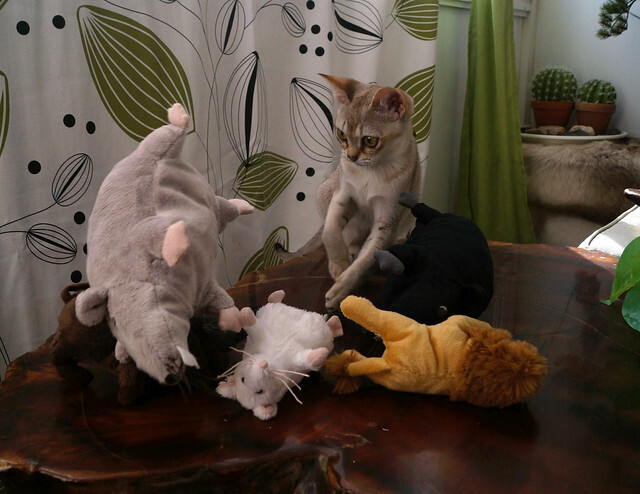 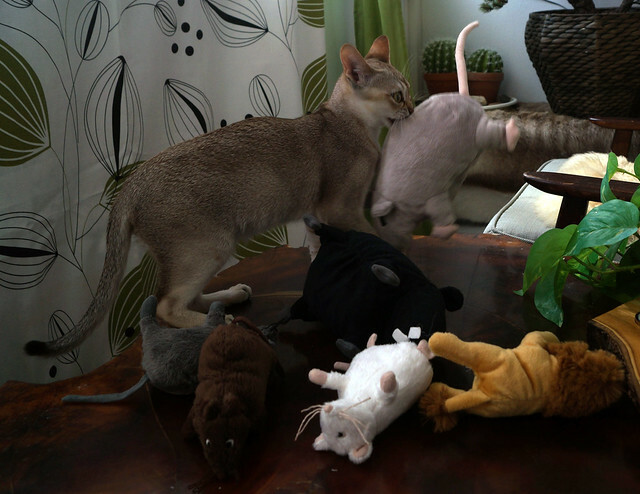 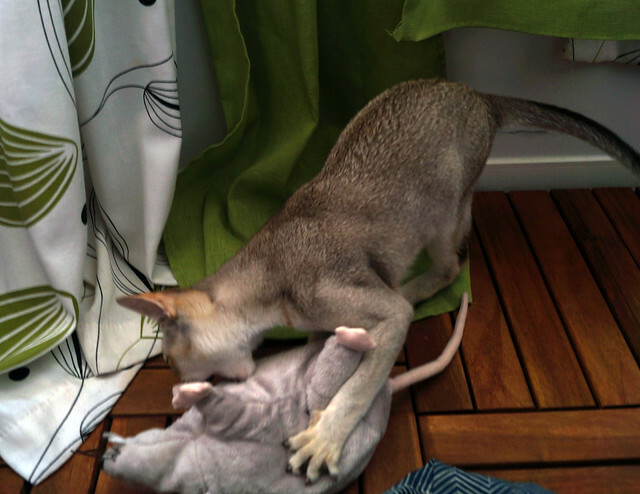 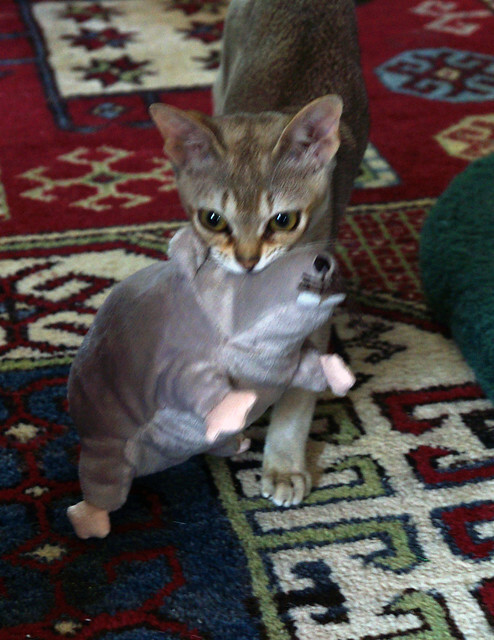 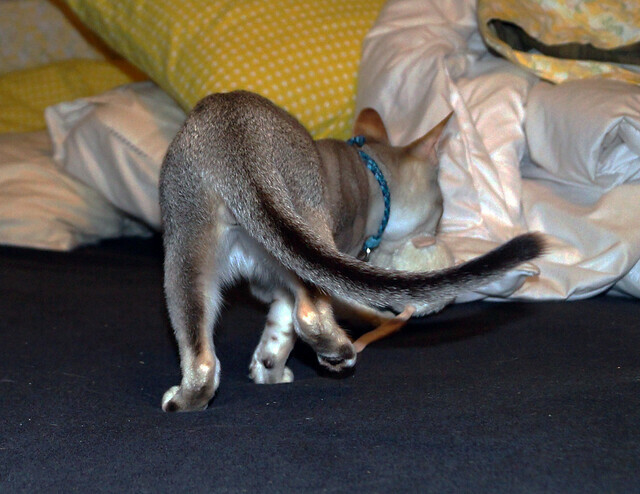 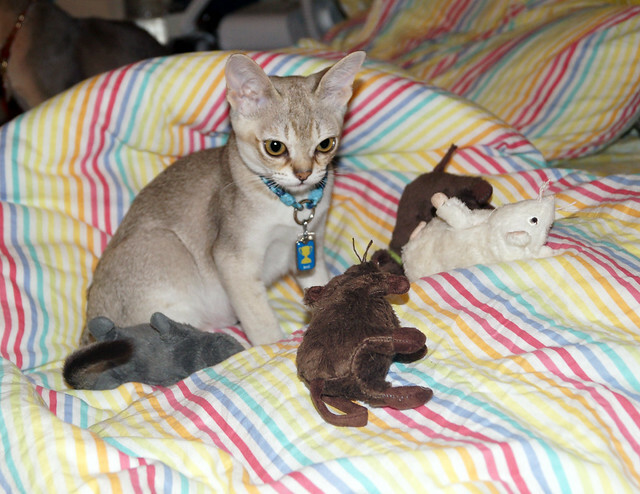 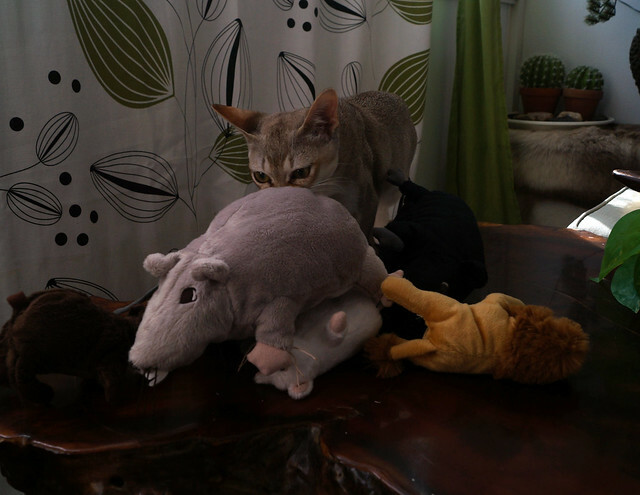 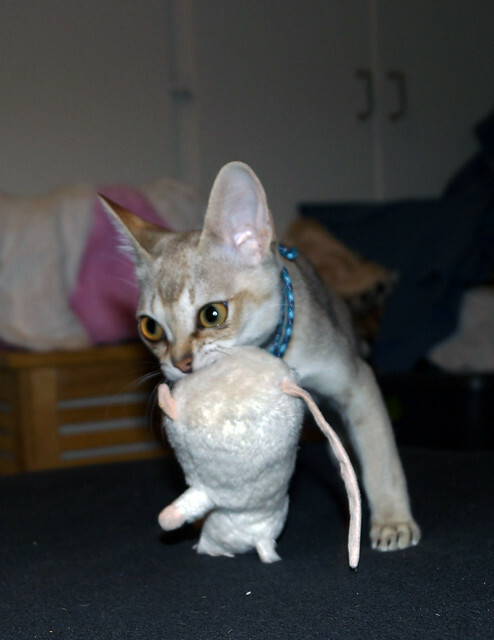 Back in April, I posted about Malt, a Japanese Singapura who loves to drag his favourite toy all over the house. 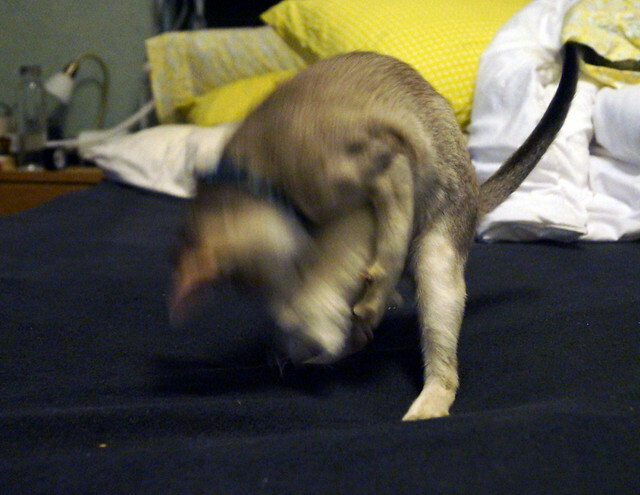 It seems Izaak and Malt have something in common. 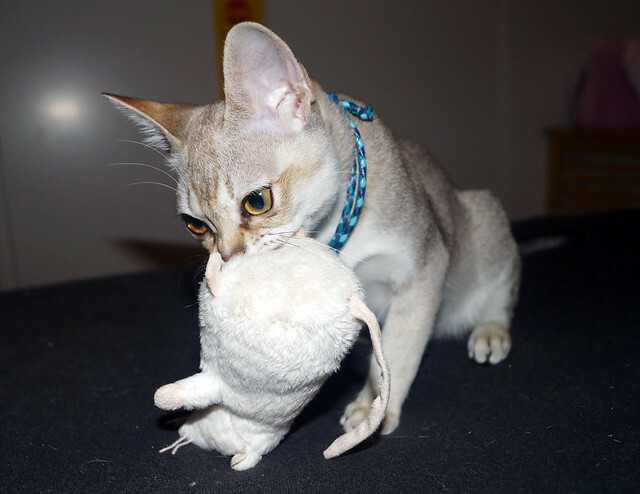 Zak absolutely LOVES IKEA mice and rats. 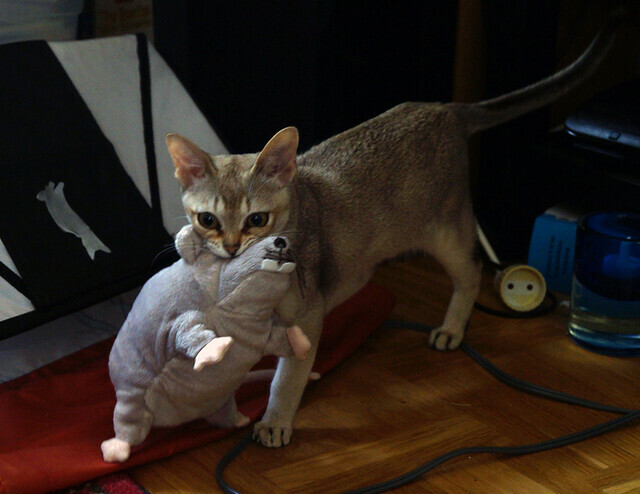 He also loves to carry them around. 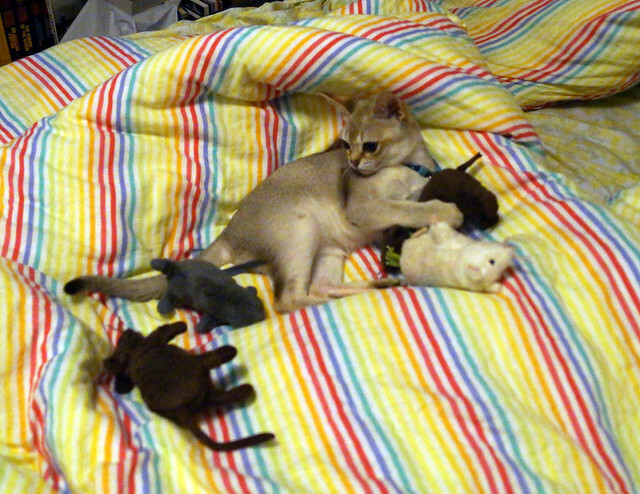 We are always finding them in our bed. 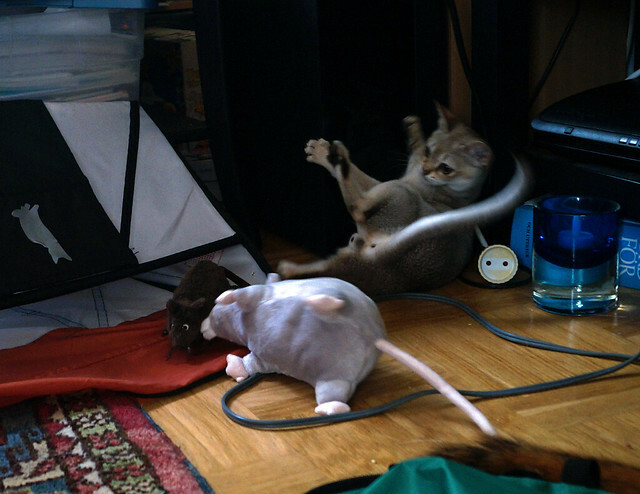 Apparently, this is the best place to play with them. 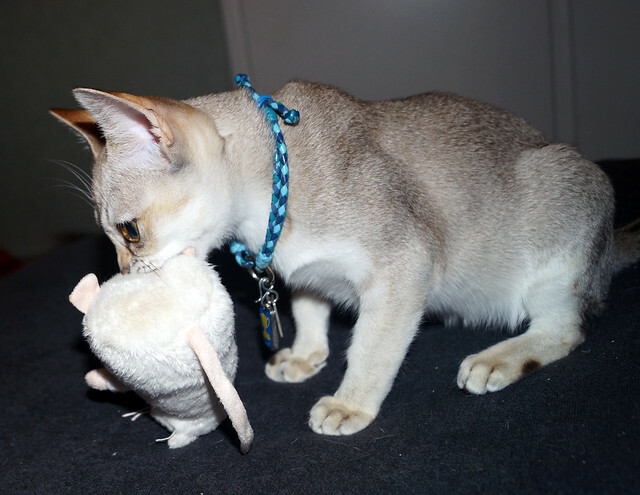 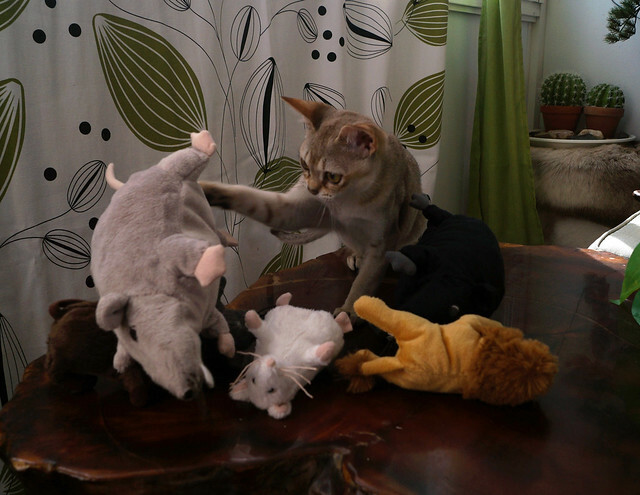 It’s tempting to call his mousies his “friends,” but he doesn’t see them that way. 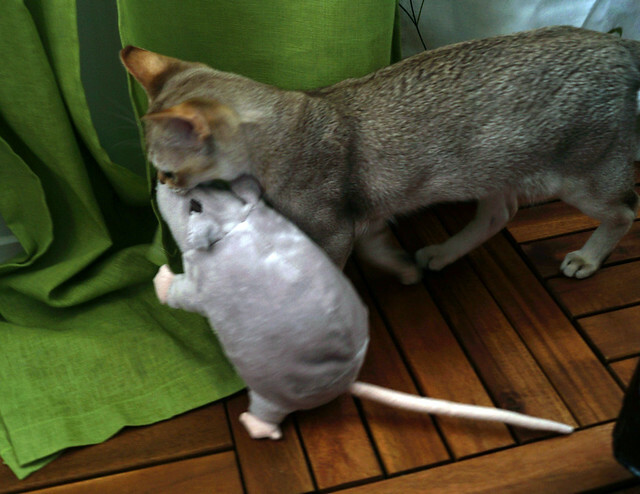 When he picks them up, he tends to go for the backs of their necks. 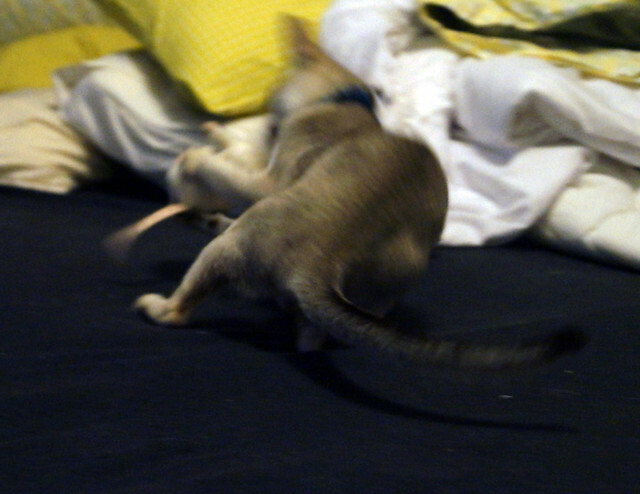 And then he shakes them. 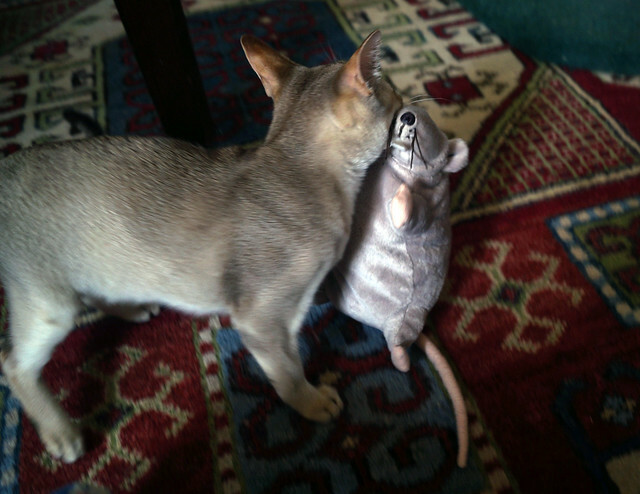 So…probably not friends. 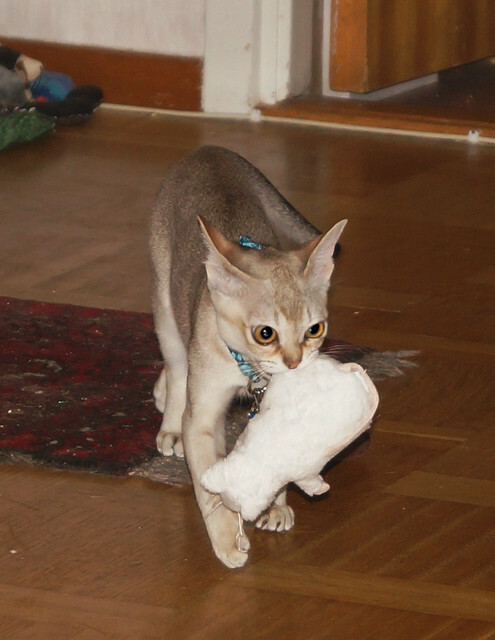 Whatever they are, he loves to carry them around the house. 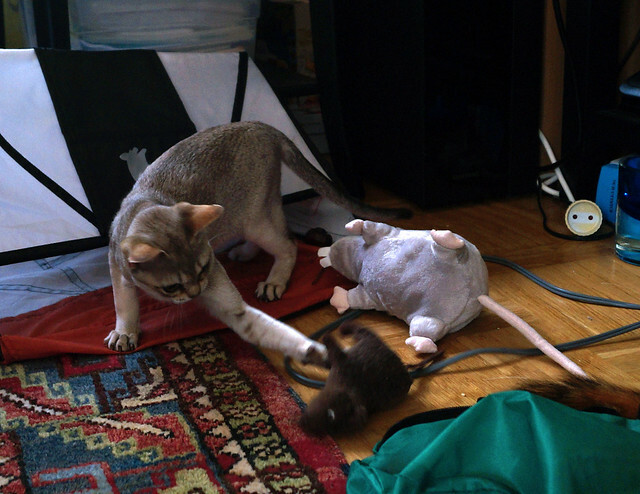 What’s funny is, we had a load of mice and one rat that lay around the house for over a year, because nobody ever played with them. 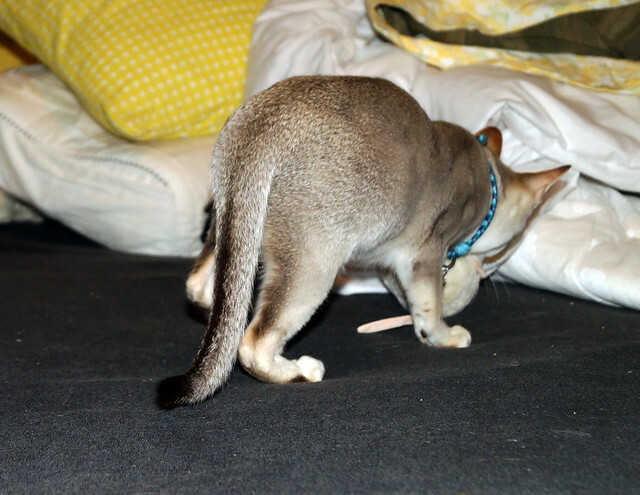 The best they could hope for was to end up helping to bury the food bowls when Alfred was done eating. 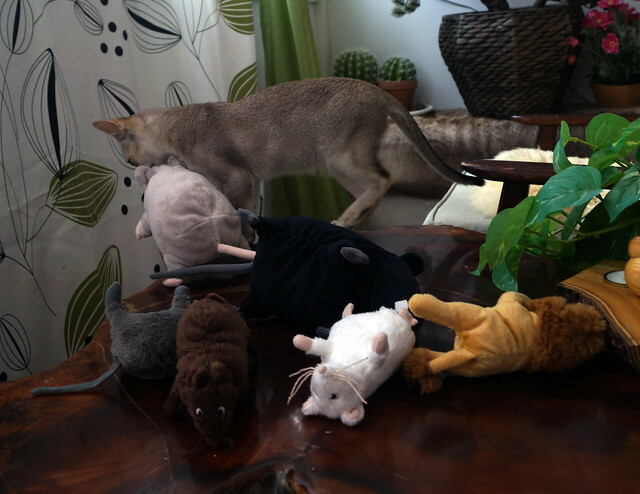 So now, whenever we go to IKEA, we of course have to get Zak some new mousies. 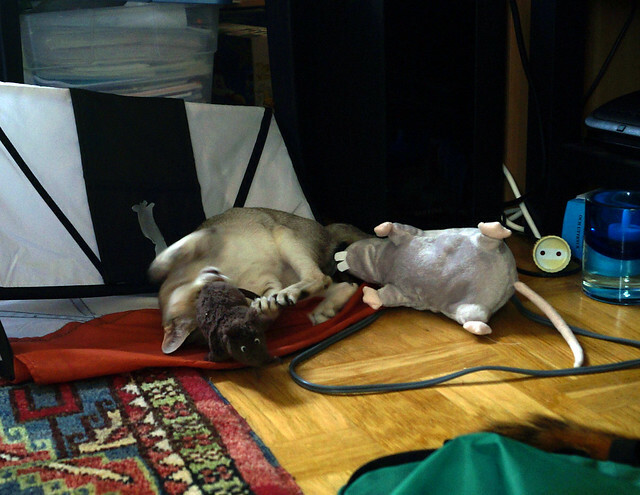 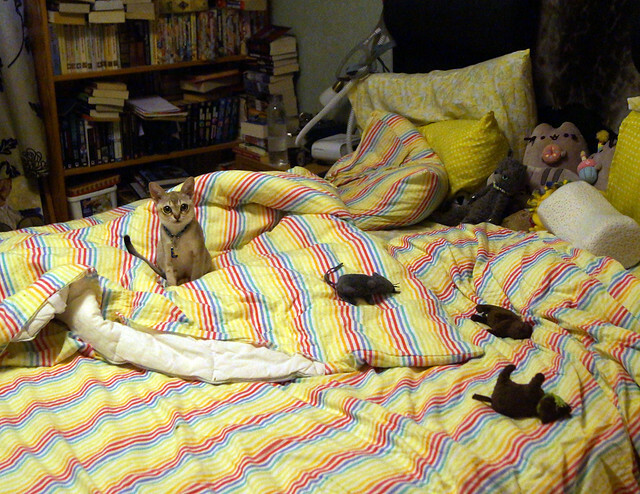 The last time we went, we got one of each colour mice, plus a black and a grey rat. 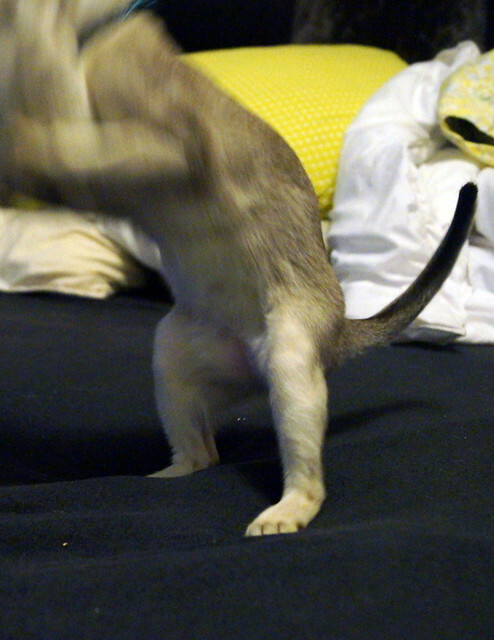 And a lion, because why not? 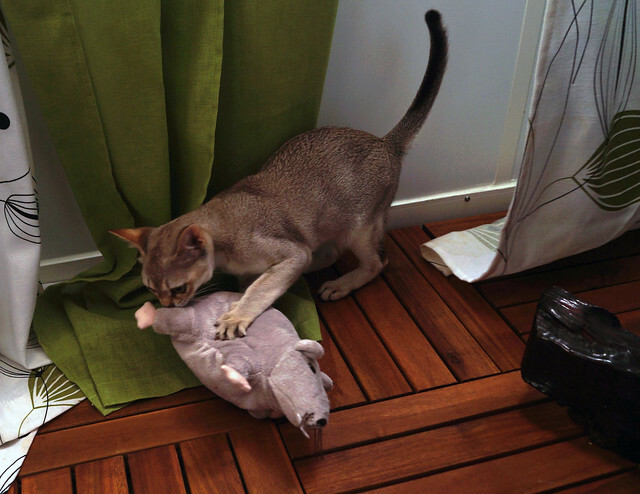 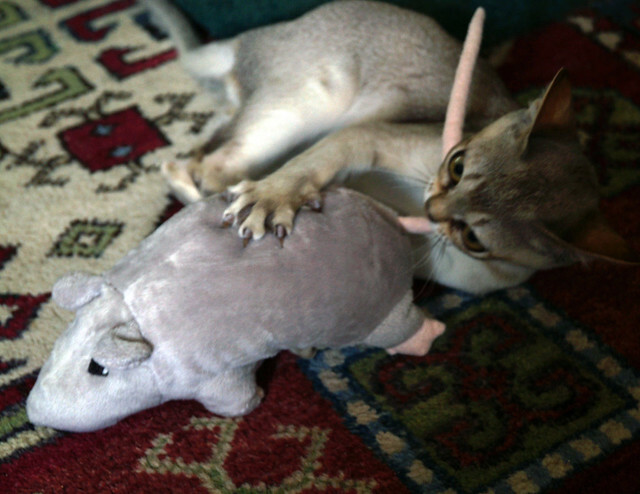 Zak immediately decided he liked the big grey rat the best. 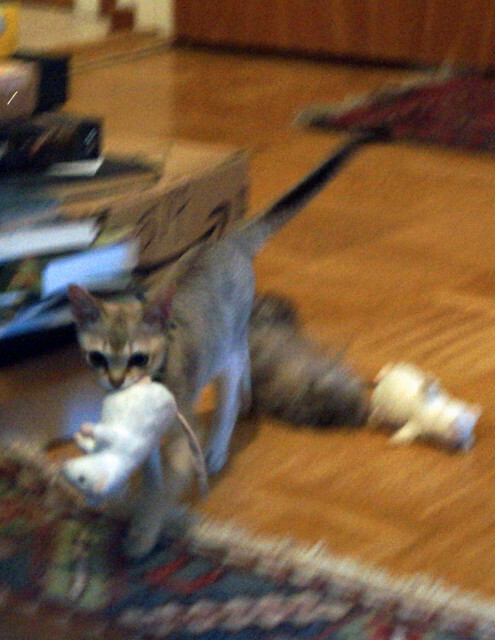 He picked it right up and carried it off. 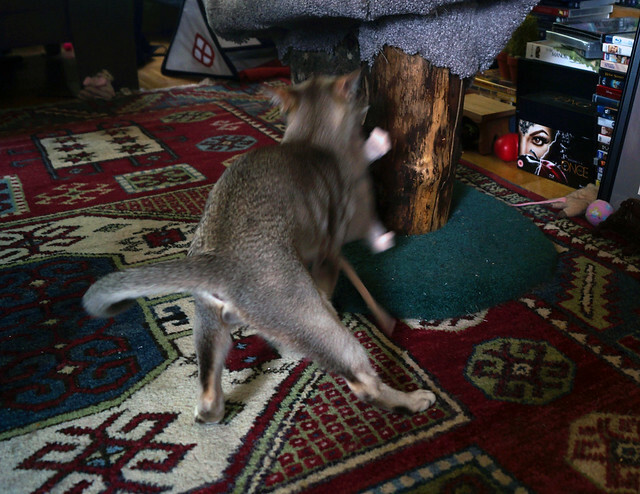 …and then he carried it into the living room. 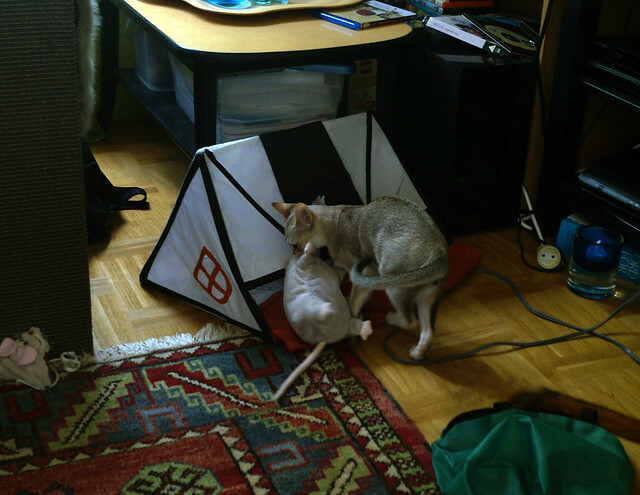 His ultimate goal was this little tent we have set up in the living room. 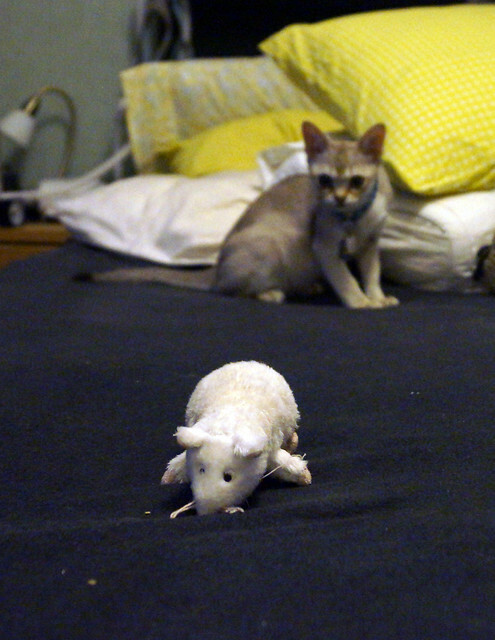 There was a little bit of distraction involving a brown mouse from an earlier IKEA trip. 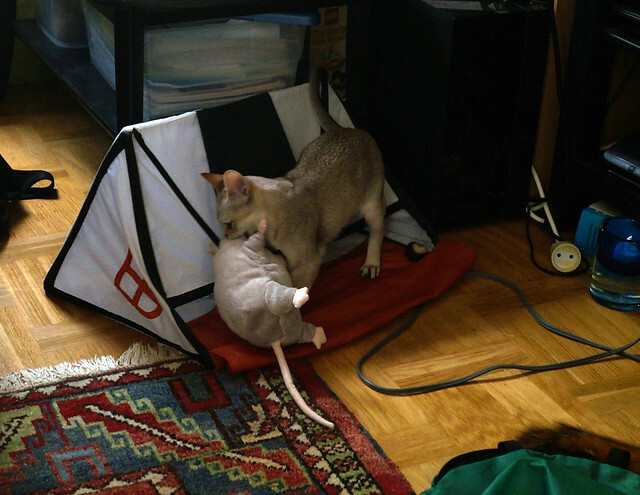 But in the end, Zak got his rat into his tent.